The Xbox One got a lot of buzz at E3 this year as the focus of Microsoft's keynote. If you don't already have one, here's your chance to get in on the action: you could win this special "Master Chief" edition Xbox One with 4 controllers, a Kinect, and 4 Halo titles from the TechSpot Store. The Xbox One has come a long way since it's launch back in 2013 - Microsoft just announced a slew of new features being added to their flagship game console. This "Master Chief" edition pays homage to one of the most renowned videogame series for Xbox by including Halo Combat Evolved: Anniversary, the newly remastered Halo 2: Anniversary, Halo 3, and Halo 4 + access to Halo: Nightfall. 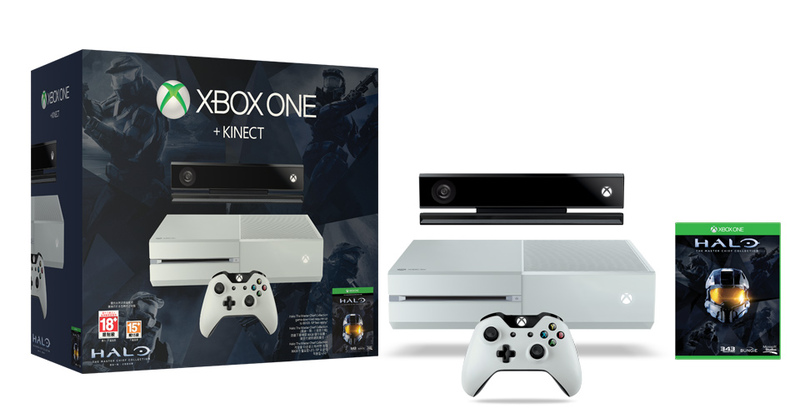 Plus, you'll get 3 additional controllers and a Kinect to take full advantage of Xbox One's capabilities. To enter, simply sign up at the TechSpot Store (if you haven't already), and hit the "Enter to Win" button to submit your entry. Share on your social media channels to increase your odds - you'll get additional entries everytime someone else enters through your shared link. The winner will be selected on 7/1. Good luck! Pro Tip: There's usually more than one giveaway open at any given time on the Store. Currently you can also sign up to win some Fitbit and Apple gear and a Google Nexus 9 tablet. All giveaways are shared with the StackSocial community, however for entering you only need to sign up to the TechSpot Store newsletter.